Petula Sally Olwen Clark was born in West Ewell Surrey, England on November 15, 1932. Petula made her first broadcast as a singer for the BBC Radio Overseas Service in October 1942, and became an overnight star on BBC National Radio in December 1942 at the age of 10. After many radio shows for the BBC during World War 2, Petula made her film debut in “Medal for the General” in 1945. Notable films include the classic Powell/Pressburger film “I know where I’m going” (1945), London Town (USA “My heart goes crazy”) (1946), Vice Versa (directed by Peter Ustinov) (1948), and the classic Huggett trio of family films which were to be the forerunner of television soap operas in the UK (1948-9). Her first leading role was in “Don’t ever leave me” (1949), and “The Card” (USA “The Promoter”) with Alec Guinness and Glynis Johns (1952). Petula was nominated for an award for best supporting actress in the hospital film drama “White Corridors” (1951) which even got shown in East Germany as well as New York. British film-goers voted her their 6th best actress in 1951 just behind Greer Garson and ahead of Jane Wyman. As well as her film work, Petula was a regular on BBC radio and television and British stage variety shows, and from 1957 in France and other European territories. She acted in comedy radio shows such as “Life of Bliss” and radio series with her pianist and musical director Joe “Mr Piano” Henderson. Petula was a recording star in the UK from 1949, with “The little shoemaker”(1954) being her first top 10 hit (also hitting #1 in Australia) and “With all my heart” which took her to France where by 1962 she became their top female singer with such big selling hits as “Chariot”, “Coeur blessé” and “Ya ya twist”, securing her the prestigious Grand Prix National du Disque Français. Her hits in four languages included “Monsieur” selling a million copies sung in German! Her song “Sailor” became her first of 2 #1 hits in the UK. for “I know a place”, and Cashbox in the USA voted her top female singer of 1966). Petula also had success as a songwriter with the Top 5 USA hit covered by the Vogues “You’re the one” in 1965, and “Now that you’ve gone” covered by Connie Stevens. In Europe and Canada she had self- penned hits “Je chante doucement”, “Que fais-tu là Petula”, “You’re the one”, “L’ agent secret”, and “Bleu blanc rouge”. Petula also appeared as herself and sang and wrote incidental film music for “A Couteaux Tires” (USA Daggers Drawn) in 1964. By 1966, Petula was one of the most popular and best selling female singers in the world with other hits including “I couldn’t live without your love”, “This is my song”, “Sign of the times”, “Don’t sleep in the subway” and “Kiss me goodbye”. In 1967 she was presented with the “International Award” by “Midem” (International music industry awards) alongside the Beatles and Tom Jones. Her many USA television appearances included duets with Andy Williams, Dean Martin, Bobby Darin, Danny Kaye, Helen Reddy, Perry Como, Harry Belafonte, Glen Campbell, Carol Burnett, Richard Carpenter, The Everly Brothers, Peggy Lee, Tom Jones, and even Bob Hope!. As a dramatic actress on television, Petula starred in the 1957 ITV drama “Guest in the house”. In 1972 she appeared as herself in “Here’s Lucy” with the legendary Lucille Ball playing her secretary for the day! In 1981 in France, Petula had a major role in the French drama serial “Sans Famille”. Hollywood films were “Finian’s Rainbow” directed by Frances Ford Coppola with Fred Astaire (1968) giving Petula a Golden Globe nomination, and the musical version of “Goodbye Mr Chips” with Peter O’Toole in 1969. Her most recent film was the British movie “Never never land” (1980) directed by actress Diane Baker. As a stage actress her credits are “Sauce for the Goose” (UK 1950), “The constant Nymph” (UK 1954), “The Sound of Music” (breaking house records as Maria in London 1981-2), “Candida” (UK 1983), “Someone like you” (1989-90 UK tour and London, 1990) for which she wrote the music, “Blood Brothers” Broadway (1993-4) and USA tour (1994-5) with David Cassidy and “Sunset Boulevard” as Norma Desmond (London 1995-7) and USA tour 1998-2000). As a singing star, Petula has taken her one woman show from London’s Royal Albert Hall to the Sydney Opera House and Washington’s Kennedy Center. 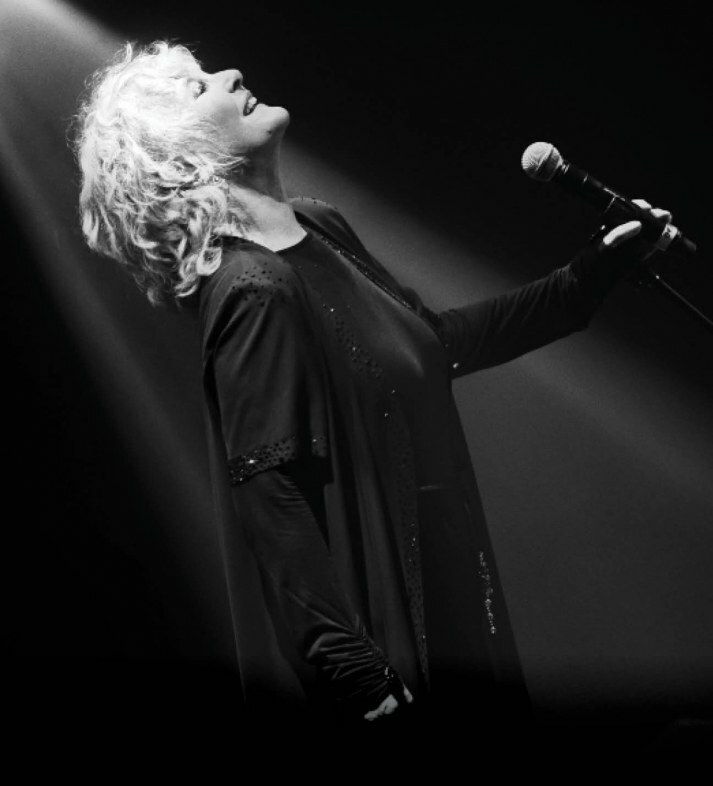 Petula has given bilingual concerts at the Paris Olympia and Place des Arts in Montreal. She has been a Las Vegas headliner since 1966, with a million dollar contract to headline at Caesars Palace. In 2010 she made a triumphant return to Vegas this time at the renowned Las Vegas Hilton. As a television star, Petula was one of,if not the first female singing star to have her own BBC TV series (1946) and since then has had TV specials and series around the world including one notable show which she hosted broadcast live to France from Liverpool’s famous Cavern club. Petula co-hosted the BAFTA awards from the Royal Albert Hall in 1974, and hosted episodes of the legendary American series “Hullabaloo”, Kraft music hall and “Hollywood Palace”. In 1972 David Frost featured her as sole guest on one of his legendary David Frost Shows live from New York, and in 1979 she hosted a “Golden Gala” from London’s Drury Lane celebrating the European Union and broadcast all over Europe. Petula’s three American television specials (1968-70) were shown internationally, and her 1974 BBC TV series “The Sound of Petula” won her the “Most exciting female singer on TV” award. She hosted French shows, notably the popular “Top” and “Numero Un” series which were broadcast live!. As well as her CBE presented by Queen Elizabeth in 1998, in 2012 Petula was awarded the honour of Commander of the Order of Arts and Letters in Paris, for her distinguished career in France. In 2013 at the age of 80 Petula was back with a new Top 30 album success in the UK (“Lost in you” Sony Records), and her new recording of “Cut copy me” became a remixed dance top 40 hit all over Europe. The song was also voted by the prestigious “Time” magazine into their Top 10 songs of 2013. Petula married Frenchman Claude Wolff in 1961, and they have three children, Bara (1961), Kathy (1963) and Patrick (1972). also shown by the BBC in the UK. The album hit the UK charts ( 62 years after her first chart success! ) and Petula also toured the UK with 15 dates in October 2016 to further promote the album with her one woman show.,which ended at the Theatre Royal Drury Lane,London. In 2017 Petula toured Australia, started recording a new French album in Canada (to be released in 2018) and embarked on an extensive US tour that ended in New York City where she had not performed in concert for many years. The album ‘From now on’ was released in the USA under the title ‘Living for today’ with additional bonus tracks.